Yesterday marked the 46th memorial of perhaps the deadliest decision in world history, Roe v. Wade. This Supreme Court decision legalized abortion-on-demand across America and has resulted in the deaths of some 61 million people, more than the Civil War, both world wars, and the Holocaust combined. Abortion was the leading cause of death worldwide in 2018, killing an estimated 42 million and surpassing deadly diseases such as cancer, heart disease, and HIV/AIDS. Despite the deadly decision, the Supreme Court did leave room for Congress and the states to regulate abortion. In 1976, Congress enacted the Hyde Amendment, an annual legislative provision that bars federal funding of abortion and has been renewed every year since. President Bush signed the Partial Birth Abortion Ban Act in 2004 after President Clinton had vetoed several previous efforts to outlaw the barbaric practice. The Supreme Court upheld the law in the 2007 case of Gonzalez v. Carhart. In 2017, President Trump signed the first federal pro-life law in 13 years that allowed states to withhold Title X funding from Planned Parenthood. President Trump has also appointed a record number of pro-life judges, reinstated the Mexico City policy, and barred U.S. funding of UN programs that promote abortion. However, more progress seems to be happening at the state level. In the last decade, many states have passed laws requiring waiting periods, counseling, ultrasounds, or parental notification. Some are passing laws mandating that abortion facilities meet hospital standards, shutting down many of them as a result. Several states have enacted legislation to defund Planned Parenthood and to ban abortions after 6, 12, or 15 weeks. One of the other few bright spots from Roe v. Wade was the vast pro-life movement that it spawned. From public policy organizations to crisis pregnancy centers to pro-life student groups, Roe v. Wade ironically “birthed” thousands of warriors for life across the entire country. One of the most visible proofs of this is the annual March for Life in Washington, D.C. Since the first March for Life on January 22, 1974, it has become the largest human rights gathering in the world; and we will continue to come back every year until Roe v. Wade is overturned. Despite this progress, there is still so much more that must be done to eliminate abortion in America. For example, abortion is still legal in the U.S. after 20 weeks, putting us in a league with totalitarian regimes like China, North Korea, and Vietnam. New York just legalized abortion up until the point of birth. We cannot call ourselves the freest country in the world if we continue to allow the most innocent and vulnerable among us to be murdered while we turn a deaf ear and a blind eye to their cries of pain. Despite all the progress since Roe v. Wade, hundreds of children will die just today in the U.S. because abortion is still legal. Pray. Pray that God would protect every unborn child from abortion and allow them to be born into loving homes. Pray for our leaders in all three branches of government that they would protect life and overturn Roe v. Wade once and for all. Pray for those that remain defiantly pro-choice or are indifferent to abortion that God would soften their hearts to the plight of the unborn. Pray for all abortion doctors, nurses, and clinic workers that their minds would be opened and that they will cease abortions today. And last, pray for those standing in the gap to eliminate abortion in America—legislators, public policy organizations, crisis pregnancy centers, student groups, and many more. The environment in which they work is more hostile than ever before, and they need our prayers for God’s protection and for them to have courage and boldness to press on. Contact your members of Congress. 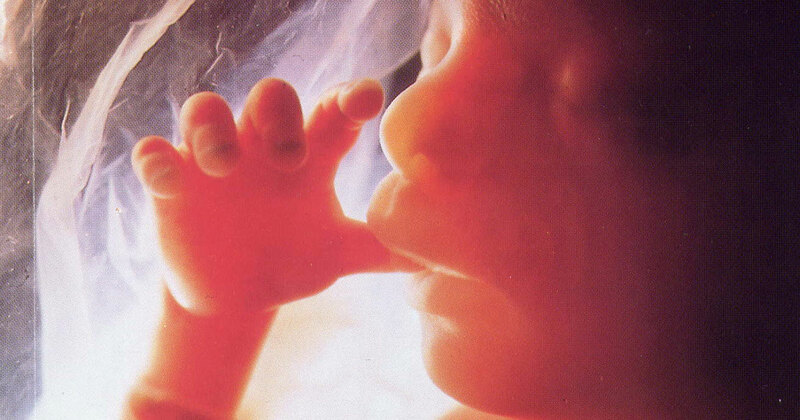 There are several pieces of legislation that have already been introduced that will further protect the unborn. Call, write, or email your member of Congress and ask them to support legislation such as the Pain Capable Unborn Child Protection Act, the Born Alive Abortion Survivors Protection Act, and the No Taxpayer Funding for Abortion Act. These are common-sense bills that should pass with wide bipartisan support but haven’t yet done so because not enough people contact their members of Congress and voice their support. I have been told by several people who work on Capitol Hill daily that if a member receives at least 10 phone calls, letters, or emails on a particular bill or issue, he or she will give it more attention. Educate yourself and those around you. Start with our resources here at FRC, such as “Top 10 Myths About Abortion,” “Planned Parenthood is Not Pro-Woman,” “The Best Pro-Life Arguments for Secular Audiences,” and “Stem Cells, Cloning, and Human Embryos.” Visit our website to get copies for yourself and your friends and family. Attend the March for Life in Washington, D.C. or one near you. Making your support for the unborn public sends a message to government leaders every year that we are serious about ending abortion. We know what abortion is, and we know how rampant it is in America. Now is not the time to be silent or indifferent. It’s time to pick a side and take action to stand for life. The future of the free world depends on it.